- THE COMPLETE PACKAGE: Everything you need is already included! 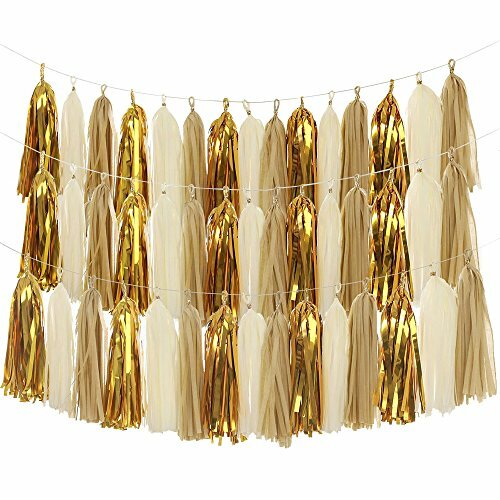 Includes rope for hanging, 30 pieces tassels and instructions how to make tassels and wrap around rope. - EASY ASSEMBLY REQUIRED: Simply follow our instruction guide on how to assemble the tassels. Once you get the hang of assembling them, they assemble pretty quickly!